Western Watersheds Project, Buffalo Field Campaign, Tatanka Oyate, Gallatin Wildlife Association, Native Ecosystems Council, Yellowstone Buffalo Foundation filed for a temporary restraining order in hopes of keeping Yellowstone National Park from sending 513 bison being held in the Stephens Creek capture facility to slaughter. Unfortunately, but expectedly, Judge Charles Lovell denied our request. The decision will be appealed to the 9th Circuit. Judge clears way for Yellowstone bison slaughter. 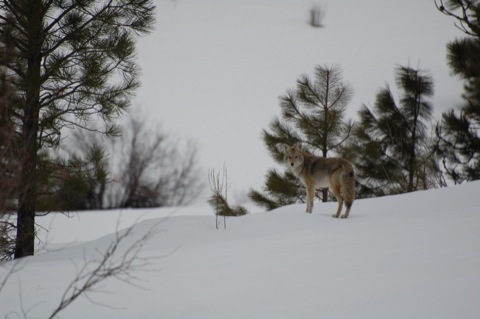 Delists wolves in Northern Rockies but leaves out Wyoming. The GOP in the House of Representatives is starting to work on their version of a continuing budget resolution that would be needed to fund the government until a formal budget is passed to fund government agencies. Another way to fund the government could come in the form of an omnibus spending bill until a formal budget is passed. The Republicans have indicated that they do not support shutting down the government so funding must be appropriated by March 4th when the current continuing budget resolution expires. The Senate will have its own version and there will likely be a big fight over any funding of the government. There are significant changes that could take place to any of these bills. SEC. 1713. Before the end of the 60-day period beginning on the date of enactment of this division, the Secretary of the Interior shall reissue the final rule published on April 2, 2009 (74 Fed. Reg. 15123 et seq.) without regard to any other provision of statute or regulation that applies to issuance of such rule. Such reissuance (including this section) shall not be subject to judicial review. If language like this passes wolves in Idaho, Montana, and parts of Oregon, Washington, and Utah would lose Endangered Species Act protections while those in Wyoming would retain protection. GOP budget bill lifts wolf protections.